Try it. Give it a few weeks, or even better, a couple of months. 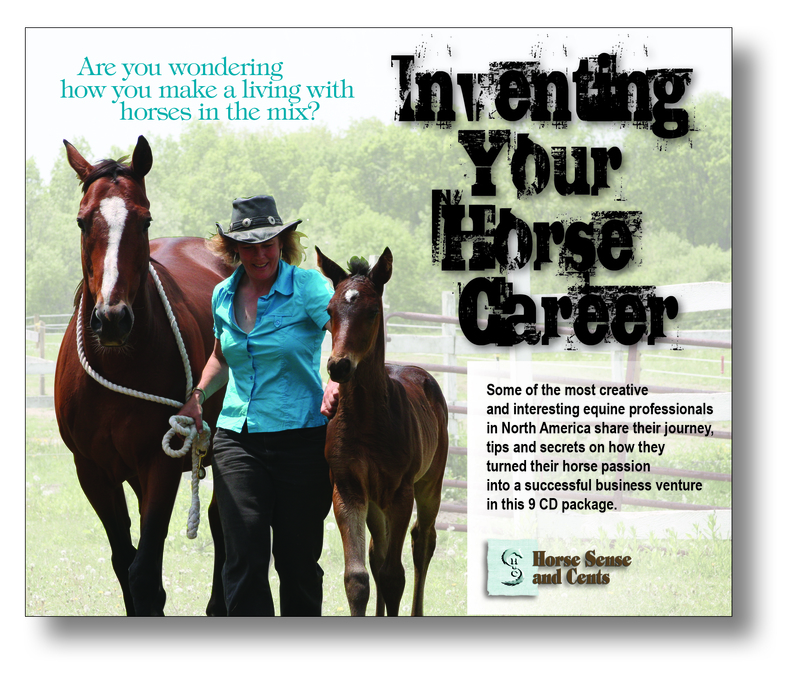 You’ll be shocked at how quickly your young horse surpasses the neighbor’s project being drilled for hours a day. It may not make sense to you, nor be the norm at the training facility down the road, but it works. 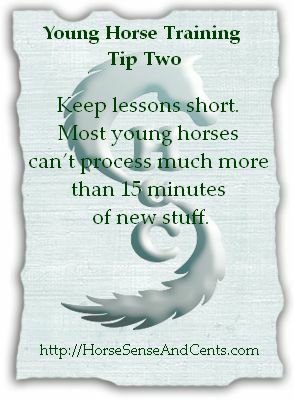 Young horses can’t process much more than 15 minutes of new stuff in any given session. Your goal shouldn’t be to load a month’s worth of training into the first few days. You’ll brag about your horse’s first-week’s progress then wonder why he sours to training before you hit the 30 day mark. Think long-term as you try to justify drill-sessions that leave you and your horse frustrated about ending on a bad note (or exhausted after fighting for the win – you’ll pay for that tomorrow). Training should be fun for both of you. If you don’t make it easy for your horse to understand what you want, he’ll stop trying. More importantly, give him a chance to do it right (one thing is enough for young minds – then quit). 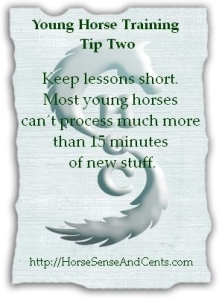 Young horses tend to get very excited when they learn something new that pleases you. It’s important to offer praise immediately (what this is will depend on your horse – food treats are not a good reward for young horses – see Young Horse Training Tip Seven for more on this). If you adopt a totally disciplinary approach to training, your horse will come to resent training or, worse, shut down his mind to docilely follow your commands. That’s not a good horse to trust to get you out of trouble. Consider, instead, offering acknowledgement for the tries for faster and long-lasting results than what punishment for bad acts will bring. That’s not to say there aren’t times when it’s appropriate to be swift and firm with a correction. You’ll see this done in the herd all the time. It’s rarely necessary during training time, though, with a horse that’s been handled properly prior to saddling up. If you’re dealing with aggressive behavior, consider going back to ground work (your horse needs a better foundation). Even ground work should be brief, but there are times when it can’t be. 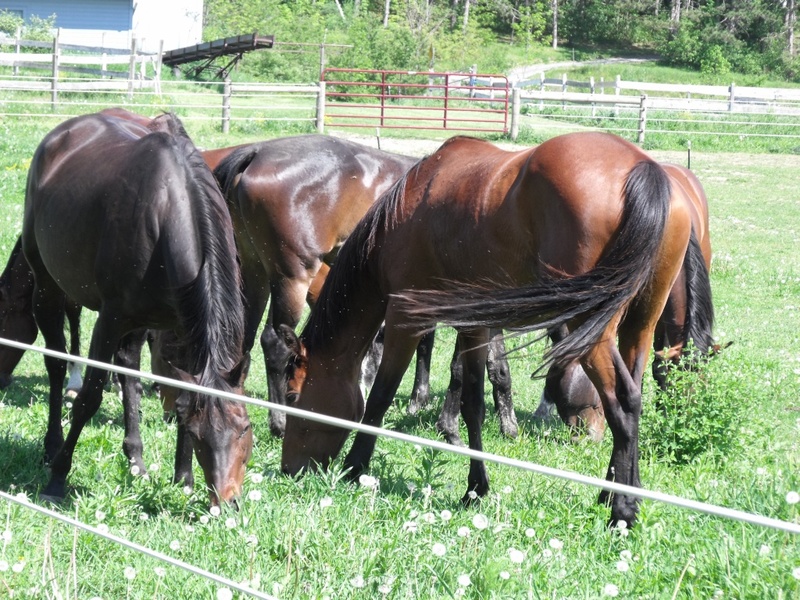 As an example, we had a two-year-old filly ship into the farm that unloaded from the trailer, proceed to mow down the person leading her to barn then happily ran loose, celebrating her triumph. The owners laughed, noting she did that all the time at home. While there are few, some rules are firm at Halcyon Acres®. Basic manners are among them. That was the last time she went outside before learning to lead politely. It took two hours in sweltering heat and stifling humidity the following day before she decided to accept what she already knew as proper behavior. This gal was a very strong alpha and had become extremely dangerous having learned her size (she was big) permitted her to be a belligerent bully. All that was asked (we did add some equipment to get control but the only time pressure occurred was when she created it) was for her to wait to exit the barn until invited to do so. She threw tantrums rivaling the most determined terrible two-year-old child. Backing at break-neck speed, rearing, striking, charging and attacking were in her arsenal. She wound through the barn isles, up and down steps backwards, into the shavings bin (we had a large area inside downstairs to deposit sawdust from upstairs), around stalls, into the rafters (those low barn ceilings provide a wonderful deterrent for manipulative flippers) and through obstacles not strong enough to withstand her force. The entire process involved quiet and calm insistence, but no aggression (from the human – the horse was quite another story). Eventually (she was literally dripping wet), she understood. We never had a problem leading this mare again. Of course, that’s an unusual situation and one a novice should never try to undertake. The point is, sometimes, finishing a lesson requires longer than ideal. It’s a rarity, though, if you’re working with a horse that hasn’t been taught by some other human to act out in dangerous ways. If your project starts as a foal, make sure you set some fair limits early. 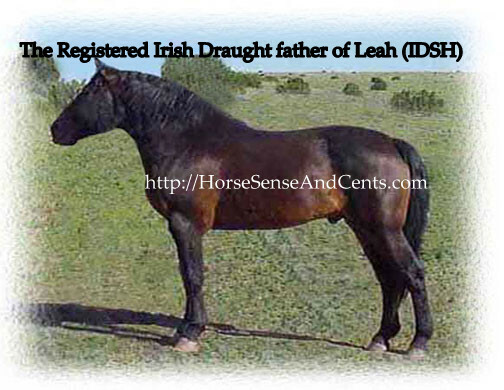 It’s a lot tougher when they get big (in this mare’s case, she was over 16hh already, agile, strong and unruly). It’s not funny to have more than 1000 lbs. trampling over the top of you because someone else found this cute when they were littler. 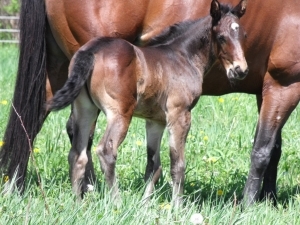 You’re probably wondering why you should adopt a short lesson approach to training your young horse when so many training stables start young horses under saddle with hour-long sessions from day one. Understand, people paying for the service wouldn’t likely feel the fee is justified if riding time was limited to fifteen minutes – or five. This is a lucrative aspect of most equine establishments. Keeping the owners happy often supersedes horse sense. Sadly, this approach tends to produce quick short-term results with lingering long-term problems. 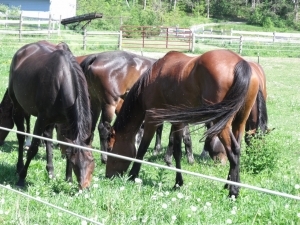 When owners can come out and watch their young horses doing an hour’s worth of work, they see the investment justified. Most aren’t knowledgeable horsemen (otherwise they’d be doing the work themselves). They don’t realize a juvenile equine mind can’t absorb as much as their older kin. Nor do they recognize conditioning growing bodies with long drills will do more harm than good. With a little bit of knowledge (some say this can be a dangerous thing), owners put demands on facility owners based on what they think should be right. Facility owners put pressure on trainers to ensure the revenue keeps coming in from repeat clients. This means incorporating expectations into training regimens. Or, they don’t think much and simply do what most others are doing. What’s a good young horse training alternative? For both engaging young equine minds with short rides and conditioning in a safe way, hills and trails are fantastic. You can spend five or ten minutes for the first week or two (you’ll spend additional time on the ground prior to heading out) traversing a trail head with a clear boarder. Even if you just go 100 yards, that’s fine. Keep it simple and feel safe so both of you come back home feeling accomplished. Once you put a bit of a mouth on a horse (stop, turn – this can be done on the ground first with long lines) and you get enough response to the leg so your horse understands move forward and how yield as a backup for steering, it’s likely the trails will be a much better place to keep you both happy than an arena or worse, a round pen. Trails are great for engaging a young horse’s mind. They also offer a challenge he can feel proud about accomplishing. Add hills and you can put a great bottom on a horse doing only walk and trot. The other great thing about working a young horse on the trails is you can let the horse decide when he’s comfortable trotting or cantering while carrying your weight. Forcing this in an arena makes it much tougher. On the trails, a horse will naturally ask to progress into a faster gait the moment he feels ready. If you’re not, pull them back after you let them enjoy a few strides, but let them try and don’t punish them for the growing confidence they’re feeling by slamming them in the mouth. 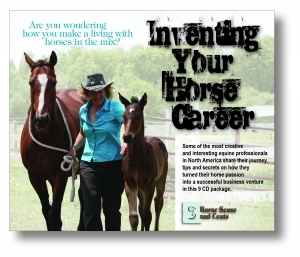 Spend five to fifteen minutes a day (every other day) as you start your young horse under saddle. Focus on a single, easy new task and you’ll be amazed how quickly your mount gets eager to learn something new to please you. Reward him for the tries so he understands what you want. Keep things interesting so he doesn’t get bored (or sore or sour) doing circles in an arena. That horse you spent a total of 4-8 hours training under saddle last month compared to your neighbors 30-60+ will make you look brilliant by month two and three with how much faster he progresses. Teach your horse to get excited about training time and he’ll surprise you with how smart, brave and eager he is to figure out what you want. That’s a much better horse to have than the one that hates training, distrusts humans and complies with servitude or launches initial resistance. The foundation you build with your young horse will last a lifetime. Make it short to make a lasting happy partnership. Honestly, it was shocking to see Zenyatta eclipse (pun intended) Blame as Horse of the Year, but it was the right thing to do. Kudos to the voters who decided it was OK to buck tradition and recognize this very special filly that was defeated in only her last race – the usual deciding benchmark for determining Horse of the Year. We’ll likely never see another one like her. Her name, heart and achievements will be remembered by so many for decades to come (not something that can be said of most bestowed with this honor). So many who watched the Breeders’ Cup Classic this past year had a lump in their throat and a heavy heart when Zenyatta crossed the finish line so close (losing by a nose), but beat. Many wondered if the outcome would have been different with a cleaner trip (probably – but that’s horse racing). One thing that really touched me on race day was Mike Smith’s comments (he was the jockey aboard in all but three of her starts – and her only defeat). He choked back tears lamenting that he had let her down, knowing that she recognized the loss. Anyone who’s ridden competitive race horses gets this. Horses that are standout racers know when they lose a race. It bothers them. You can see it in their behavior after the race. They usually pick up their heads as the next race approaches, but this was Zenyatta’s last. His sadness for her is understandable – and demonstrates Smith’s character in his connection with the horses he rides. While I couldn’t find the quote where he talks about her, I did find this one from Dan Steele’s column on Fanhouse.com (November 6, 2010). “It hurts more than I can explain,” he said, hesitatingly pressing his hands against his eyes, then choking up. “Just because it was my fault.” He paused again, then continued, his voice cracking, “She should have won, and it hurts.” See http://www.fanhouse.com/2010/11/06/tears-and-blame-for-zenyattas-jockey-mike-smith/ for the full article. According to http://www.bloodhorse.com, The Eclipse Awards (honoring horses and horsemen in the racing industry – and the deciders of choice for Horse of the Year) are voted on and presented by the NTRA, Daily Racing Form (DRF) and National Turf Writers And Broadcasters (NTWAB). Is Zenyatta and Moss poised to change the industry? Given what the Moss’ are currently doing to make Zenyatta available to the public, he seems to be a man who lives by his words. Moss (well credit really needs to go to trainer John Shirreffs, but owners can put a lot of pressure on trainers to put training on the fast track) also dismissed norms by taking the time to wait until Zenyatta was ready to race. She didn’t have her first start until the end of her three-year-old season (November 2007). She only had two starts that year. Trying to run this huge filly at two would have probably resulted in career-ending injuries. Many trainers would have insisted she get with their program. Early breakdowns are just an indication to them the horse wasn’t good enough. She was lightly raced by most standards the following two years, with seven and five starts respectively. Hopefully Moss’s convictions about having an impact on racing fans will extend to activities that encourage some changes in thought in industry precepts The career of this mare and associated training that made it so provides a wonderful anecdote to illustrate how slow, customized and patient strategies win the race. I imagine any owner would be satisfied with the $7 million-plus she’s amassed (in 20 starts). Not bad for a $60K purchase. Where did Zenyatta get her name? On the small world front, Zenyatta’s name has a family tie. Moss signed the Police to A&M Records and named her after their Zenyatta Mondatta album. Are you ready to offer solutions instead of jumping on bandwagons that attack problems? Moss and Shirreffs deserve a lot credit for doing the right thing the help make Zenyatta be her best. 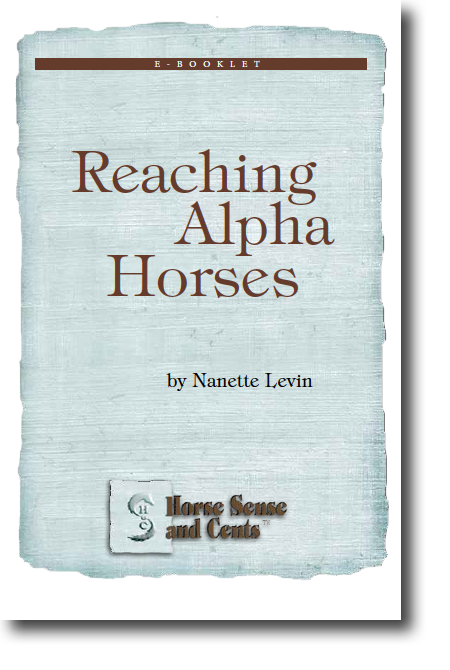 They both have a great success story to recount for decades to come on how going against the grain helped create one of the most amazing equine performers of the century. Zenyatta, in turn, chose to take care of them, and I imagine they will take care of her for the rest of her life. It’s interesting how happy this mare seems to be in everything she does (from her dance to the paddock on race day to her retirement videos). She’s a character. All the people surround her (owners, grooms, jockeys, trainers, etc.) seem to appreciate this with no desire to stifle her expression. That’s part of what makes this mare’s story so precious. 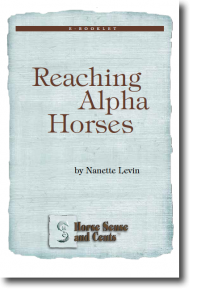 How can we as individuals use this great example to help our horses delight in human interactions and suitable careers? What are you doing with the horses you encounter to help them shine? Do you have ideas for others on how to encourage a horse to be part of the conversation (and the owner to recognize what they’re trying to tell them?)? Please share in your comments below.